Christopher Czaplicki, M.D., is passionate about his work as a physician and his favorite pastime: climbing mountains. He'll soon have a chance to do both in Nepal, thanks to a travel grant for Mayo residents and fellows. "A lot of people think that about climbing, but almost no mountains are high-adrenaline," he tells us. "It's tedious and slow. You're just putting one foot in front of the other." Which is not unlike the long and challenging road to becoming a doctor, he says. "I think any big thing you take on is analogous to climbing a mountain. It's why people say, 'This is my Everest.'" Dr. Czaplicki will soon be attempting his highest summit yet: Mera Peak in the Himalayas, which stands at 21,247 feet and offers views of a handful of the tallest peaks in the world, including Mount Everest (29,029 feet). Dr. Czaplicki plans to plant a Mayo Clinic flag at the top as a way to "thank everyone who made it possible for me to do this." The help Dr. Czaplicki received came in the form of a travel grant from the Mayo International Health Program, which supports residents and fellows who pursue elective rotations providing medical care to underserved patients around the world. Before Dr. Czaplicki hits the trail and heads toward Mera Peak, he'll spend four weeks caring for patients at Trbhuvan University Teaching Hospital in Kathmandu, Nepal. The Mayo International Health Program is "incredible," Dr. Czaplicki tells us. "I haven't heard of a single other residency program in the country that supports programs like this." Since the program began, Mayo learners have completed 500 trips to 62 countries, providing care to more than 110,900 patients. This isn't the first time Dr. Czaplicki has combined service and climbing. 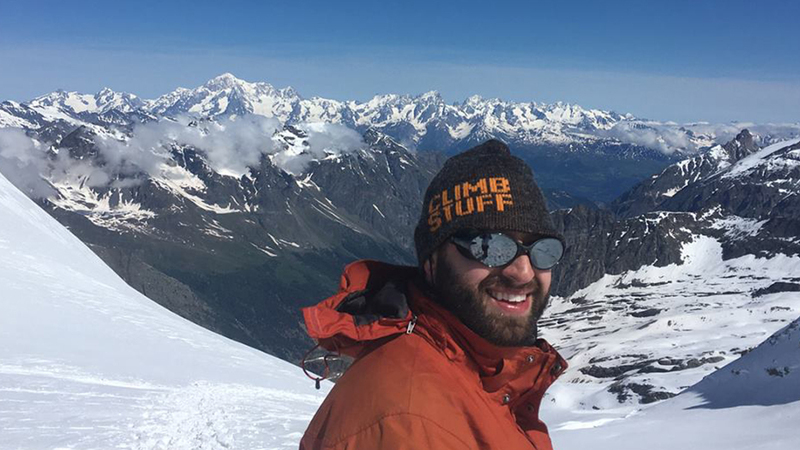 As an undergraduate student, he climbed the Grand Tetons while raising money for at-risk youth. In medical school, he trekked into remote Himalayan villages in India and provided care in tent camps before attempting to summit Patalsu Peak. (Bad weather turned him around.) And he bookended his Kilimanjaro climb with service at Ithna Asheri Hospital in Tanzania before, and at a small clinic at a school in Zanzibar afterward. "As someone who likes to go on adventure trips, I've wanted to find a way to do more than just inject tourism dollars into a place," he says. "I want to make a connection." He believes those connections will help him reach a professional peak as well. As a physician who sees patients from all over the world, Dr. Czaplicki says travel makes him more culturally sensitive and aware. "Travel in general makes you more open-minded to other people and cultures," he says. "It makes you a citizen of the world." Climb on up and leave us a comment below before using the handy social media tools atop this page to share this story with others. Learn more about the Mayo International Health Program.